When Dennis O'Neill studied chemistry and biochemistry at Monash in the late sixties he had 'no idea' what he wanted to do when he graduated – let alone that he would soon become a diplomat. He's proof of where a science degree – and a vibrant interest in the world – can take you. Dennis recalls studying at Monash during an invigorating era – the university was young and technology was advancing. A vacation job in mining in Western Australia alerted him to the opportunities in the resources sector. After three years working as an analytical chemist in a series of laboratories, including with a mine, he answered an ad calling for graduates of any discipline to train for diplomatic service with the then Department of Foreign Affairs (DFA). Successful, he soon saw that his scientific background could be put to good use in areas such as nuclear policy, environmental policy and in matters to do with resources. His first posting was to Vienna to represent Australia's interests with the International Atomic Energy Agency (IAEA). He became involved in disarmament policy around chemical and biological weapons, and in nuclear policy. Dennis later worked for DFA helping administer Australia's bilateral science and technical cooperation agreement with what was then the USSR. He returned to the mining sector as part of a commercial negotiating team for CRA Exploration (now Rio Tinto), and then managed an exploration arm, which involved Aboriginal liaison, working on environmental permitting and negotiating with government. 'I'd be the person to translate difficult, challenging technical issues into terminology that people without a technical background could understand,' he said. 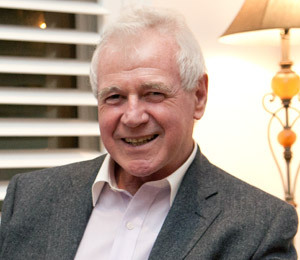 Dennis has acted as what he calls a 'go-between' ever since, often operating at high levels of government and industry. He was the CEO of the Australian Council for Infrastructure Development for 11 years, before heading uranium mining exploration company NuPower Resources. He runs his own consultancy, Resource Futures. He hopes his input in Monash's mentoring program will help science undergraduates better understand the possibilities that await them.